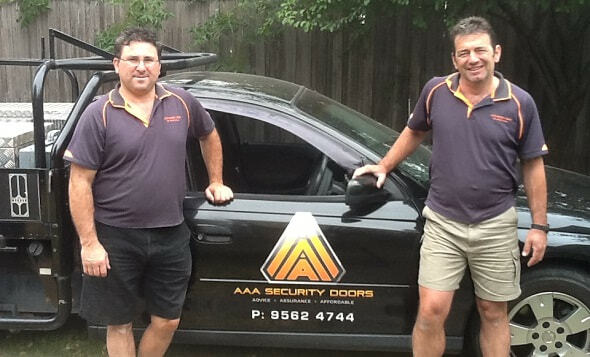 An Australian-owned family business with over a decade of experience in security, we at AAA Security Doors Melbourne believe in providing a service from start to finish with utmost integrity and honesty. For us, it's not just about making doors and window grills, but about building your trust and ensuring the security of your home. At AAA, we don't believe in short cuts. When we build a security door or window fitting, we ensure the quality of every piece, right from the research process for effective and strong materials, to the technical expertise for the actual construction of the fitting. Just like you, we're in it for the long run. 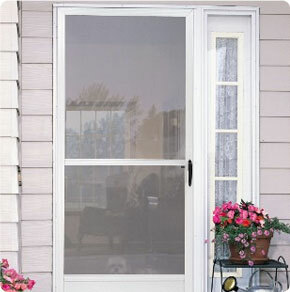 When it comes to securing your home, you can't afford to go wrong. Neither can us. We're in it as much as you are fixing. That's why we believe in a hands-on approach and don't send contractors to do our work. We offer you honest advice - and when it comes to costs, an obligation-free quote. 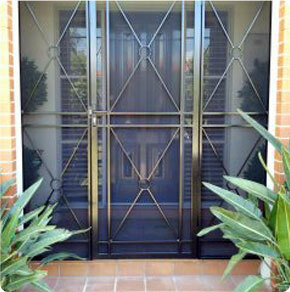 We custom-make your doors and fittings exactly according to your requirements. 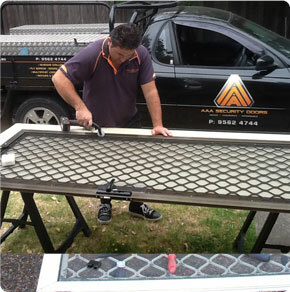 We take great pride in building home security products and offer you secure doorways, steel-grille range or aluminium doors, screen doors, porch enclosures, security mesh, window screens, pet doors, fly screens, window bars and window grilles in Melbourne. While all our products come with a standard 1-year warranty, you'll be happy to find that the Screen Guard range comes with a 10-year warranty. At AAA, we don't believe in short cuts. When we build a door or window fitting, we ensure the quality of every piece, right from the research process for effective and strong materials, to the technical expertise for the actual construction of the fitting. Just like you, we're in it for the long run. That's why we provide all our services, including after-sales services with a smile. Your security is in our hands, so we take our work very seriously. We give you honest advice - and when it comes to costs, an obligation-free quote. Our solid, cost-effective, high-quality products and prompt service will assure you that when it comes to securing your home, there's no better choice than AAA.